Rituranga depicts the six seasons. The descriptions of nature as well as the effects of the seasons on the human mind are woven together in this choreography. 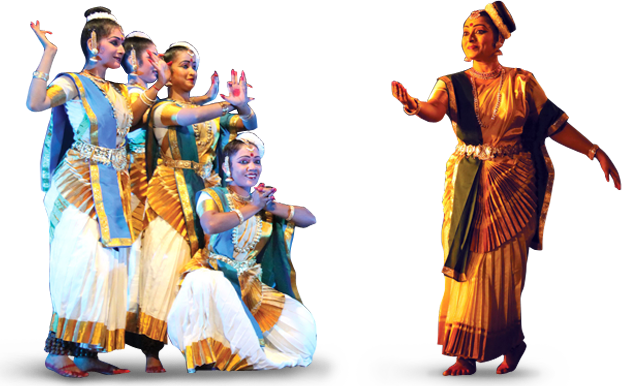 The verses that introduce each of the six seasons are adapted from Sanskrit litterateur Kalidasa's celebrated work, Ritusamhar, and set to Sopana Sangeet, the traditional music of Kerala. Each season is elaborated with lyrics from Rabindra Sangeet, the musical compositions of Nobel laureate Radindra Nath Tagore. While Kalidasa describes the emotions that the different seasons arouse, Tagore's songs tell us about the diversity of the seasons as reflected in the many colours of nature.